The William Blake Archive is pleased to announce the publication of the electronic edition of An Island in the Moon (Fitzwilliam Museum), an incomplete manuscript written in pen and ink in Blake’s hand. It notably contains the earliest extant drafts of “Nurse’s Song,” “HOLY THURSDAY,” and “The Little Boy Lost,” which make their first published appearance in his Songs of Innocence (1789). Topical allusions and the history of Blake’s associations with the London social circle of the Rev. A. S. Mathew and his wife Harriet in the 1780s suggest a period of composition c. 1784-85. Before the manuscript was given to the Fitzwilliam Museum in 1905, two or more leaves may have been removed. The contents of a final page of lettering and rough sketches (object 18), apparently unrelated to the text of Island, may reflect Robert Blake’s attempts to draw subjects that had been set as exercises for him by older brother William (see Editors’ Notes for object 18). In An Island in the Moon Blake, writing in his mid to late twenties, demonstrates a born satirist’s instincts for the ridiculous with a boisterous sendup of middle class London social and intellectual life distilled into eleven brief chapters of “Great confusion & disorder” (object 10). The use of dialogue interspersed with song lyrics links the narrative to both contemporary theatrical forms and broader eighteenth-century satirical traditions. 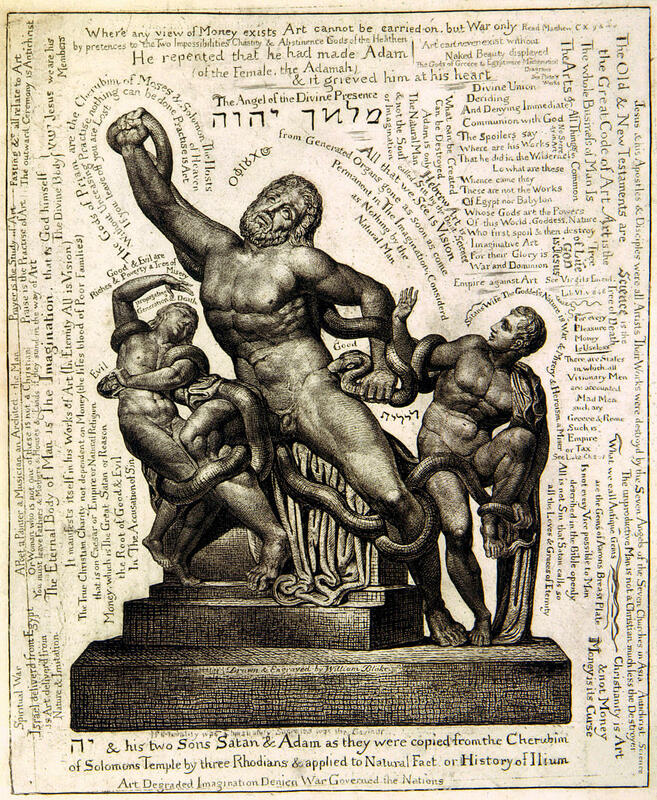 Blake’s experiences in the Mathew circle may be the main inspiration for these mocking reflections, which feature impertinent, passionate, confrontational characters, some if not all derived from Blake’s contemporaries, probably including Blake himself and his younger brother Robert as Quid and Suction. Although Blake left it orphaned, untitled, and unfinished in a heavily revised manuscript, Island is in some sense a primary literary experiment for him, setting the undertone of much to follow. In 2006 the University of Rochester Department of English agreed to sponsor an Archive team that would specialize in text editing. The team’s electronic edition of Island, its first major project, has fully searchable texts and images supported by our Inote and ImageSizer applications. Several new features make their debut in Island. Zoomed images of more complex textual cruxes strengthen the explanatory power of Editors’ Notes. A sophisticated XML tagset has been tailored to the needs of Blake’s manuscripts and to the fundamental principles of the Archive. The tagset plus a straightforward and legible color coding system (using XSLT and CSS) make it possible to display most of Blake’s manuscript alterations and eliminate the clutter of conventional textual signs and symbols. A simple key to the color coding is available from every page of the transcriptions and notes. With the publication of An Island in the Moon, the Archive now contains fully searchable and scalable electronic editions of several manuscripts in the context of full bibliographic information about each work, careful diplomatic transcriptions of all texts, detailed descriptions of all images, and extensive bibliographies. 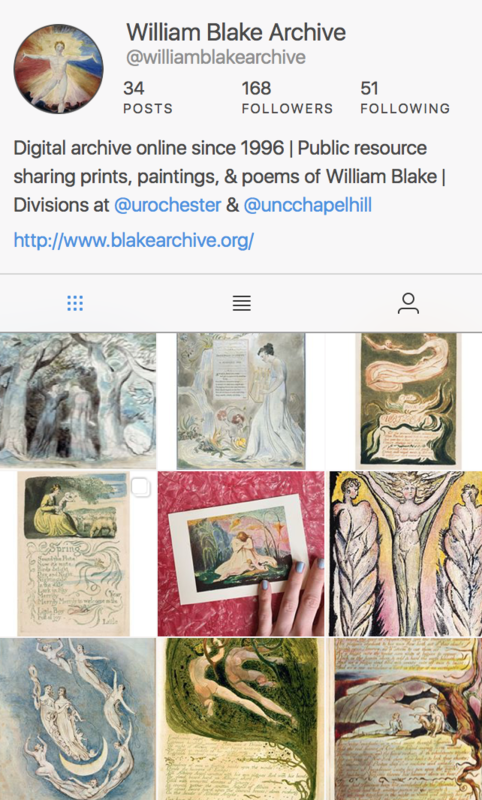 In addition to manuscripts, the Archive contains 77 copies of Blake’s twenty illuminated works along with many important series of engravings, sketches, and water color drawings, including illustrations to Thomas Gray’s Poems, water color and engraved illustrations to Dante’s Divine Comedy, the large color printed drawings of 1795 and c. 1805, the Linnell and Butts sets of the Book of Job water colors and the sketchbook containing drawings for Blake’s engraved illustrations to the Book of Job, the water color illustrations to Robert Blair’s The Grave, and all nine of Blake’s water color series illustrating the poetry of John Milton. 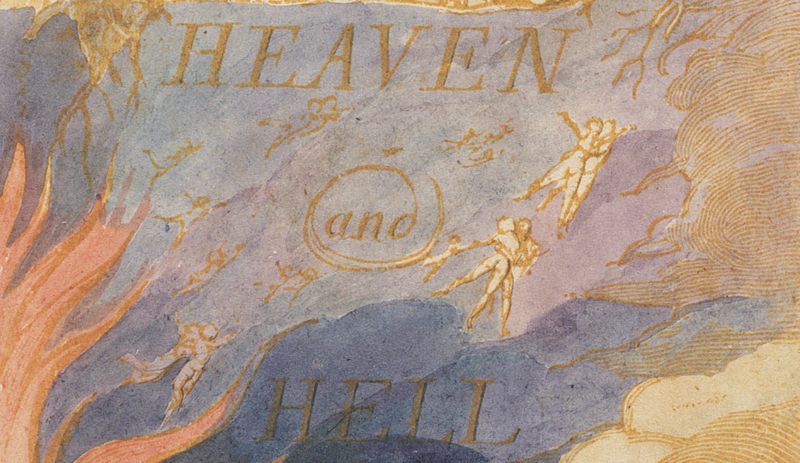 As always, the William Blake Archive is a free site, imposing no access restrictions and charging no subscription fees. The site is made possible by the University of North Carolina at Chapel Hill with the University of Rochester, the continuing support of the Library of Congress, and the cooperation of the international array of libraries and museums that have generously given us permission to reproduce works from their collections in the Archive.